Like many others, you will no doubt be working hard to pay off your mortgage as soon as possible to give you some breathing space for the future, whether that’s helping to support your children through university or investing in your all-important retirement fund, and there’s no reason why that still can’t be your top priority. Although we cannot predict whether interest rates will rise or fall just yet, we can still take a look at the market as it stands now and see what it has to offer. When it comes to finding the right mortgage deal, there are still options available to you. We currently have access to over 11,000 mortgage products from 90+ lenders so if you are looking to remortgage there’s a good chance we will be able to find something to suit your circumstances. It is always advisable to review your finances every once in a while, as your personal circumstances can change, so now could be as good a time as any to revisit your financial position. Reviewing your mortgage annually will give you a head start on any deals that are to be had at that moment in time, so it’s always worthwhile keeping an eye on whatever offers are circling the market. If you are considering your financial position, you might also want to review what protection you have in place should your circumstances change. Regardless of the referendum results, none of us are able to predict the future so being prepared for all eventualities, and taking out mortgage protection, is always an advisable move. A clearer picture of the housing market will hopefully come to light over the upcoming weeks, in the wake of the Brexit news. In the meantime, if you’re worried about how interest rates could affect you and your future decisions, then our professional mortgage advisers are on hand to offer their expert advice. We can either sit down face-to-face with you or speak over the phone, whichever you prefer, and help you find the most suitable mortgage rate to suit your lifestyle. We will also manage the application process from beginning to end, helping move things along as smoothly as possible. There will be a fee for mortgage advice. The actual amount you pay will depend upon your circumstances. 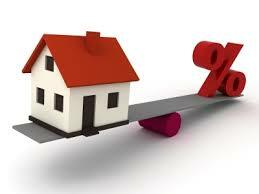 The fee is up to 1%, but a typical fee is 0.3% of the amount borrowed.